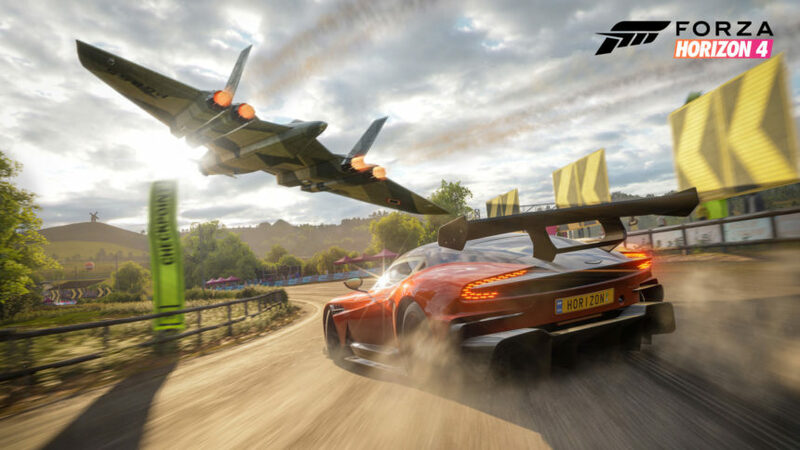 There’s less than three weeks to go until the launch of Forza Horizon 4. I’ve just spent a few hours with a near-final build of the game, and it makes that wait seem a lot longer now. Rewind to last week. I’m sitting inside a nondescript warehouse in San Francisco’s South of Market neighborhood. Microsoft has invited me here to test drive FH4, and pick the brain of Playground Games’ leader, Ralph Fulton. Fulton is noticeably proud of what his team has produced. 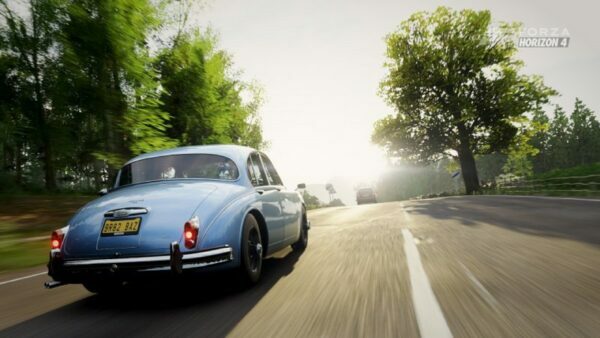 With FH4 being the first title as an official Microsoft first-party studio, there’s a lot riding on it — and Playground’s — shoulders. That this game also follows on from a predecessor that keeps hitting new milestones just adds to that. The good news is that, on the basis of what I see in San Francisco, it certainly seems like Ralph and the crew have another hit on their hands. We’ll have our thoughts on the game very soon, but before that, I sat down with the Playground Games creative director to get the full scoop on what lead the team to the game players will get their hands on on October 2. 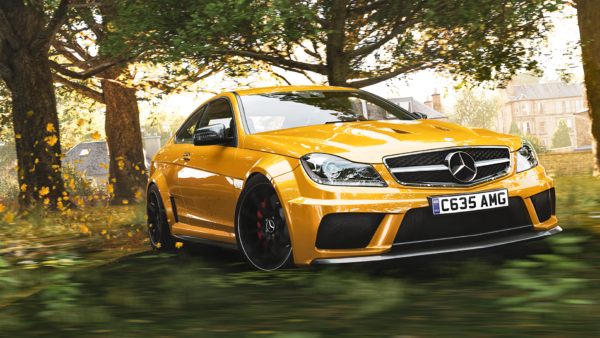 GTPlanet: I know you’re going to be talking about the car list more in-depth next week (ed note: it’s true, get the full FH4 car list here). The wide variety of cars, from a 2400hp truck to a 5hp Peel — where does the inspiration come for that? Picking these cars specifically. Ralph Fulton: A bunch of different directions to be honest. For one, obviously the volume of cars — when I say volume I mean number — goes up every time. We’re at 450 plus now, which is just kind of a ridiculous number of cars at the end of the day. It allows us to think about the car list from a number of angles that, if we had half that number or less, we probably wouldn’t be able to think about. There’s always a bunch of cars you have to have in a racing game you know. We’re way beyond that now, which allows us to think about for example the location of the game. So this time we’re in Britain — we always try to celebrate the location of our game and treat it as more than just a backdrop. We really want you to feel like you’re there, you’re living in that particular location. For us, Britain is kind of a homecoming, ‘cause we’re a British studio, and also Britain has a rich heritage of car manufacturers, of motorsport. We go way back in terms of both of those. We don’t live all that very far from F1 valley, where many of the teams are based. In fact we spent a couple of days down at McLaren HQ last week, which was incredible. It’s still really vibrant in terms of car culture in Britain. We want to celebrate that, reflect that, in the choices we make around cars. The things that we offer you early in the game — you’ll have played to a point where we say “hey, pick one of these three cars” — and one of them is the Focus. It’s a Ford, but it’s kind of a British Ford in the sense that it’s one of these really iconic hot hatches that certainly in Britain we kind of go nuts for. So that’s very much the British choice in that first three. We also get to celebrate that with the car that’s on our cover, the McLaren Senna. We always look for the hottest, most important car of the year when we’re thinking about the car that’s going to be on our cover. But this time we also really looked at it from the perspective of “it’d be great if it was a British car, it’d be great if it was a British manufacturer”. 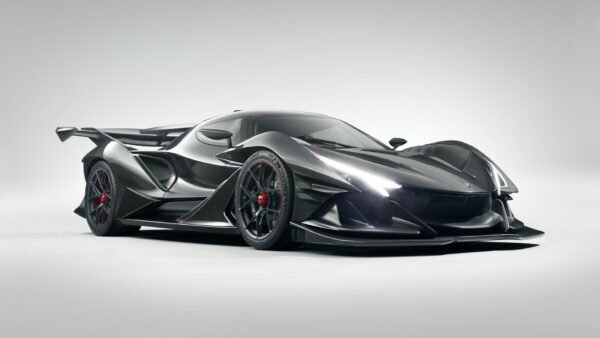 The fact that we had this long-standing relationship with McLaren, and the fact they were building this Ultimate Series car, which is really mind-boggling in a lot of ways in that it is a race car which is also road legal. And it does a bunch of things mechanically in terms of its design which are just nuts, honestly. 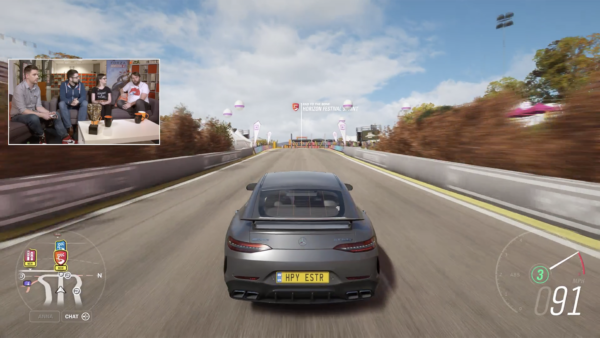 So it was great that we could bring that and McLaren into the game in that way. GTP: Awesome. You covered one of my other questions there about the UK and its car culture. So I’ve gotta ask a different one: favourite feature on the Senna? RF: So I’m tempted to say the windows on the doors, just ‘cause I haven’t seen that before! Honestly, it’s the rear wing and the aerodynamic design that goes into it. It generates so much downforce. This car is incredibly powerful, but it probably generates more downforce than any other road car in the game. 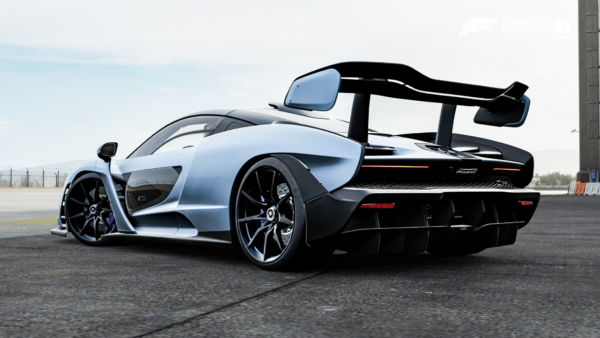 It’s really inspiring to hear McLaren talk last week about the Ultimate Series of which the P1 (which was on the Forza Motorsport 5 cover back in 2013) was the first, and this is the latest. The sort of thinking behind pushing everything in the design of the car towards performance. You know, to the exclusion almost of things like comfort, everything about this car, which at first is almost brutal with its aesthetic, it’s all just engineered in the direction of maximizing performance. And that’s not obviously just power, but aerodynamics as well. To hear them talk about their process with that is super cool. GTP: Yeah, seeing the wing move in game you get an idea of how much downforce it must be producing. It looks huge! I’ve never driven a Senna, and I think in all likelihood I never will! But I had the chance to drive a 720S. It feels like the tame little brother — I mean it’s still a ridiculously powerful car — and it has the same sort of active aero, and its top mode? It’s ridiculous how much that changes, when it kicks in, how much downforce and control is brought into the handling. GTP: Talking earlier about regular updates, you mentioned weekly updates. That’s a new move for you guys. You also mentioned cars will sort of tie into that. 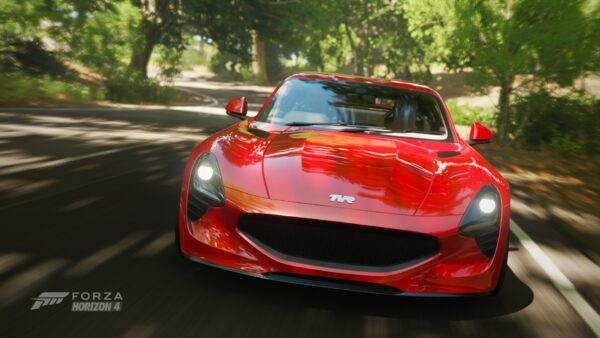 Can we expect, when seasons change, will there be cars that sort of suit the season that’s coming up? RF: I’m reluctant to say that’s the case because I don’t want to tie our hands and say “oh winter’s the next season, they’ve got to be wintry cars!” I don’t know what that means actually long range. We’re really just saying that this weekly rhythm that we’ll all get into as developers, as players, as content creators, we’re going to get into this rhythm where we know that the next week means a new season, it means new events and championships, new challenges. 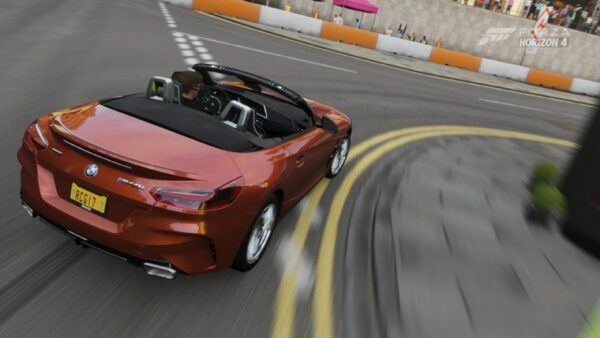 It means two new cars if you’re in Car Pass, so there’ll be two new cars delivered to your garage as well as new Forzathon, new stock in the Forzathon shop etc etc. Everyone’s just going to get pretty attuned to the fact that at the switchover point for the seasons, the next time you log in the game’s going to look completely different. There’s going to be a ton of new stuff to do, and new content there for you as well. Which I think is a great thing. GTP: Yeah, it keeps players consistent. 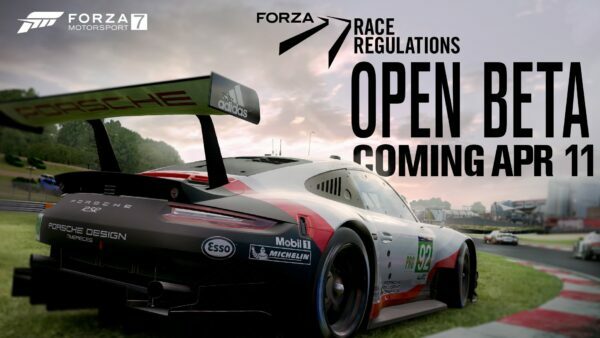 We’ve seen that with Horizon 3, it’s going on two years but you’re still seeing a lot of people playing regularly. That’s one of the strengths with Horizon in particular. GTP: Weather is obviously a big thing. For the UK, did you come to a conclusion for one first? Did you want weather and then had to pick a location, or was it vice versa? Was it sort of organic? RF: It was kind of organic and serendipitous to an extent in that two very separate work streams were happening in the studio at one time. So one, there’s a bunch of people that need to go away and think about where the location is for the next game, where we’re going to set it. Their process is cast the net wide, come and think about all the different places it could be. They pitch them, we whittle them down, we argue over them, that process runs. The alternative, and this is how Horizon games have always been, is that the world that we release on the first day never changes. You go into Forza Horizon 3 today, Australia looks exactly the same as it did on launch day. And that’s not necessarily a bad thing, but I think once you see how seasons change the game completely on such a regular cadence, it will change how you think of games in general. Which is a really sort of lofty thing to say! Anyway, so this team came back and said “I think we have a way to do this now, it involves a lot of hard work, a lot of new tools and pipelines, but we can do this,” at the same time that this group are saying “we should do Britain.” And honestly, I was like “we should not do Britain.” But they did a great job of really addressing the biases you have when you live in a country. You’re from Canada. Certainly when I think of Canada I bet I think of a different Canada from the one that you do because you live there every day right? You see the things that annoy you, the boring things. Whereas I think about the Rockies, the grandeur, the vastness, the Northern Exposure. I have a different picture from you. They did a great job making me think about Britain not as a resident who’s bummed out that the roads have potholes and traffic’s bad, but as someone who’s almost never seen it before. It’s beautiful, it’s got history like nowhere else, all that kind of stuff. So those two things came together at the same time and really, it was the way each idea supercharged the other that made it the decision that we’d go for it. Britain just did an endless summer — eh, other countries have better summers, that’s fine — Britain with dynamic seasons, four seasons that change everything about the game, suddenly that seemed like… well, it’s the pitch that we went and made at E3. It’s the game we’re showing you today.